"Venkamma Tirunala" is well known for Rural Villages in Vijayawada. This is celebrated for three days in sankranti every year. Though the dates may change, but here at Ramavrappadu and Prasadmpadu villagers celebrate Bogi on 13th, Sankranti on 14th and Kanuma on 15th. 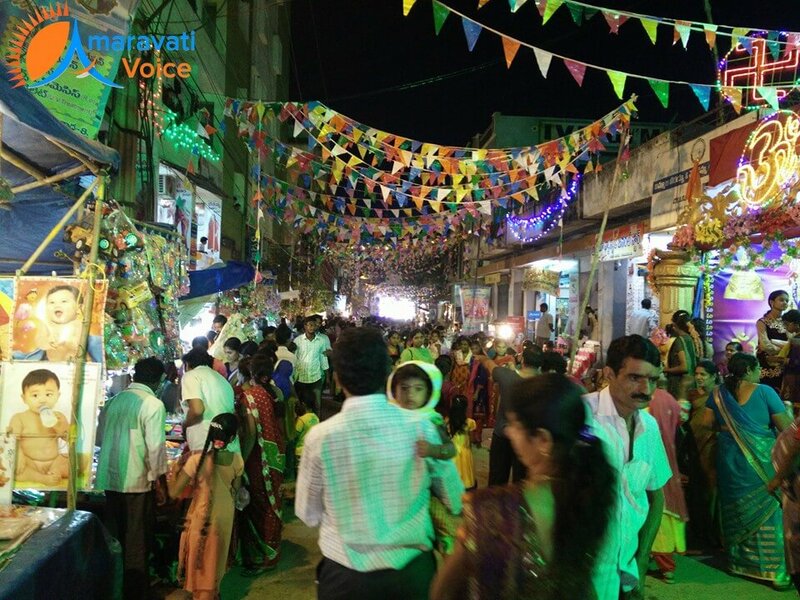 This is the biggest event in Vijayawada, after Gunadala Matha Festival. Devotees from the nearby villages visit the goddess "Venkamma Talli" on these three days and take her blessings. The annual festival is held during Sankranti. Devotees fulfill their mokku and do special poojas to their vehicles in these three days. The goddess is taken to uregimpu (procession), in Ramavarappadu and Prasadampadu for three days. After the procession, the goddess's image will go for teppotsavam in the canal. After the ceremony the idol of the goddess will be kept back in the Venkamma Perantalu temple. To support Venkamma Talli's Identity with other perantalu and also goddess Lakshmi, her image is flanked by the images of Mahalashmi talli, and Vinukonda Venkamma Talli Idols on either side of Venkamma Talli. The other attractive thing is the exhibition (Venkamma Tirunala). Many shops with toys, fancy items, balloons and others are attracting devotees. Play items like Giant wheel are attracting the children in the annual fete.